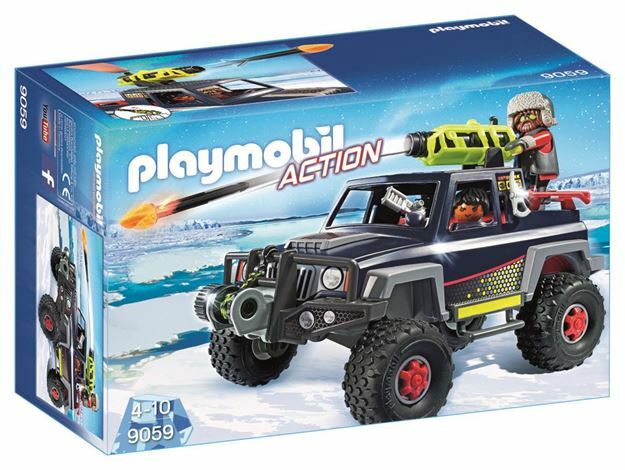 The Playmobil Ice Pirates with Snow Truck are launching an attack against the explorers to gain the valuable energy crystals. The truck has a working winch on the front to get them out of trouble and a firing cannon on the roof to ward off anybody who can stop them. There is a removable roof to allow the two ice pirates to easily enter the truck. Includes: 2 figures, truck and accessories. Part of the Action range. Age 4+ years. Distributed in New Zealand by Holdson.